In this post I am going to tell you a trick to remove your last name from your Facebook profile.You might be thinking that why I am calling it a trick.Well, Log In to your Facebook account and remove your last name and try to save it.It will show You error that you must provide your last name.According to Facebook’s privacy terms and conditions you must provide your surname in your profile. Another question that you might be thinking that what is the benefit of removing last name in your Facebook profile and the answer to this question is simply nothing.But your Facebook profile will look different from your friends profile.In addition, You can use your nickname in your Facebook profile and it looks quite cool.Also you can impress your friends with this trick as your profile will show your name without any surname. So do not miss this and give it a try. Go to options and under the Network Tab select Settings.In the Connection Settings select Manual proxy configuration and enter one of the following proxy port combination and press ok. 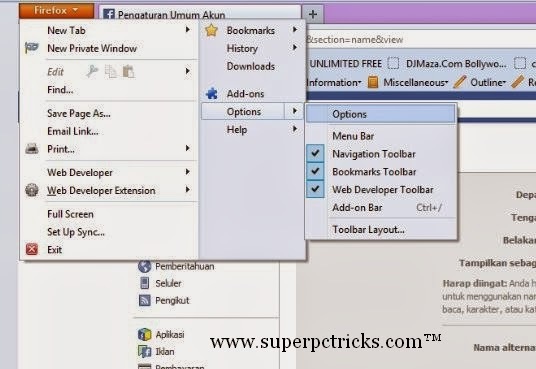 If you are using Chrome browser , go to Settings, select show advanced settings.Under the Network select change proxy settings.Click LAN settings .Select the check box and enter one of the above provided proxies and port .Click ok. If you are connected to Internet through some other connection ,then you need to change the proxy settings for that network. Next Log in into your Facebook account and select Account Settings.In the front of the language select edit and change your language to Bahasa Indonesia.Select save Changes. Next select edit next to your name and remove your last name and enter your desired first name in the First box. Enter your Facebook password in the last box and select Save changes(In Indonesian language) .Your name will be saved without showing any error. If the above mentioned proxies do not work for you go to http://www.hidemyass.com/proxy-list/search-225379 and select any proxy and port number.These proxies might be slow but you need them only to make changes to your profile. Once your profile has been saved successfully, change the language back to English and remove the proxy from the browser. 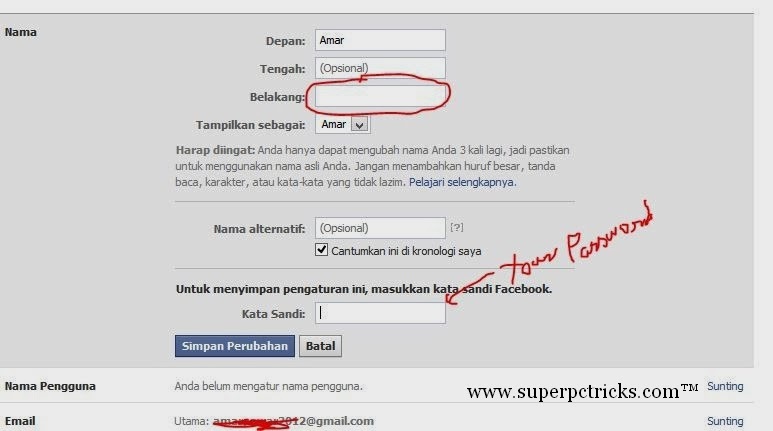 Facebook do not allow you to save your profile without your surname.But many Indonesian people do not have their surname ,that is,they only have first name as their full name.So you select the Indonesian language and use an Indonesian proxy to make an impression that this Facebook account is from Indonesia and Facebook allow you to save your profile without your last name. Have any problem in implementing this, ask me in comment section.